Because each and every one of us has the ability , power and potential to influence change. Step into your Action Shero, Theyro, or Hero powers through a volunteer or internship programme. Action Shero, Hero, Theyro Volunteers or Interns influence and shape Blank Noise by bringing in their lived experience, intention, skills, labour and insight to make change, and take agency in ending violence against women, girls and all persons..
You are required to be in Bangalore for your internship. We do not offer remote internships. Upcoming 6 month internship. Details announced end January 2019. Starting May 2019. Interns can select a project to work on. Interns may be working on a project along with meeting organisation needs and or contributing to an ongoing campaign. There is a provision of Rs.3000/ INR to meet transport expenses per month. 90 % attendance is mandatory to complete the internship. 3 month commitment, which can be renewed on mutual agreement. The 3 month is known as cycle 1, when renewed, we initiate cycle 2. Select a minimum of 2 days a week, including Saturdays. Action Sheroes/ Theyroes or Heroes volunteering meet every Saturday where ever they are located. They organise to meet and work with other members of the community in their city, town, country or region. Incase there is no other community member present in the region, you can join via Skype. Saturday weekly meetings are work days. and known as Work Jams. 90% attendance is important to consider a volunteering cycle complete. Sunday is not included unless incase of an event. Apply only if you commit to being available, responsible and accountable during the time of your volunteer or internship cycle. 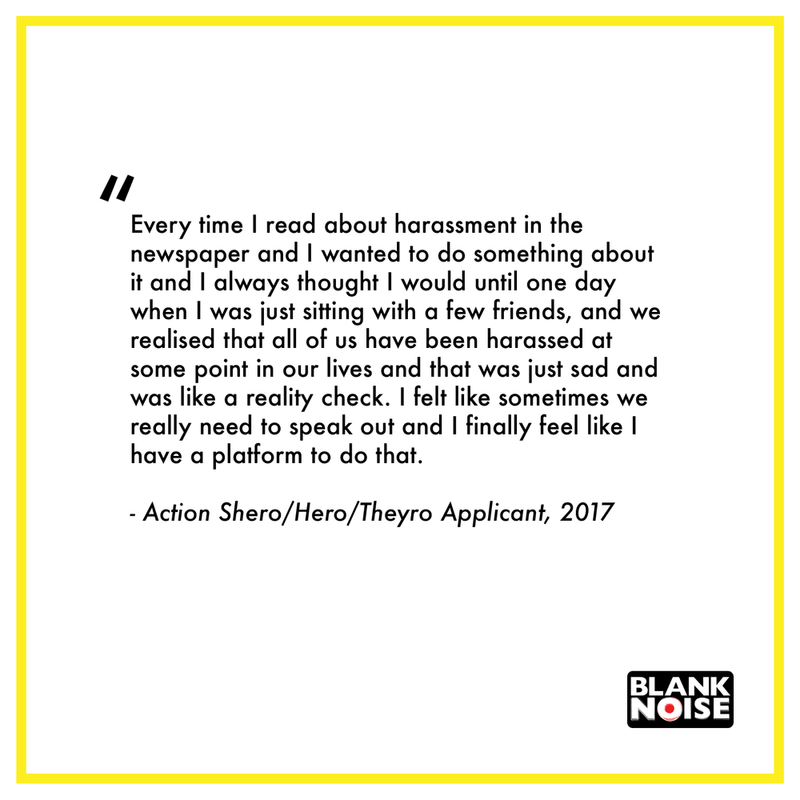 Action Shero, Hero, Theyro Interns and OR Volunteers can sign up from anywhere in India and the world. 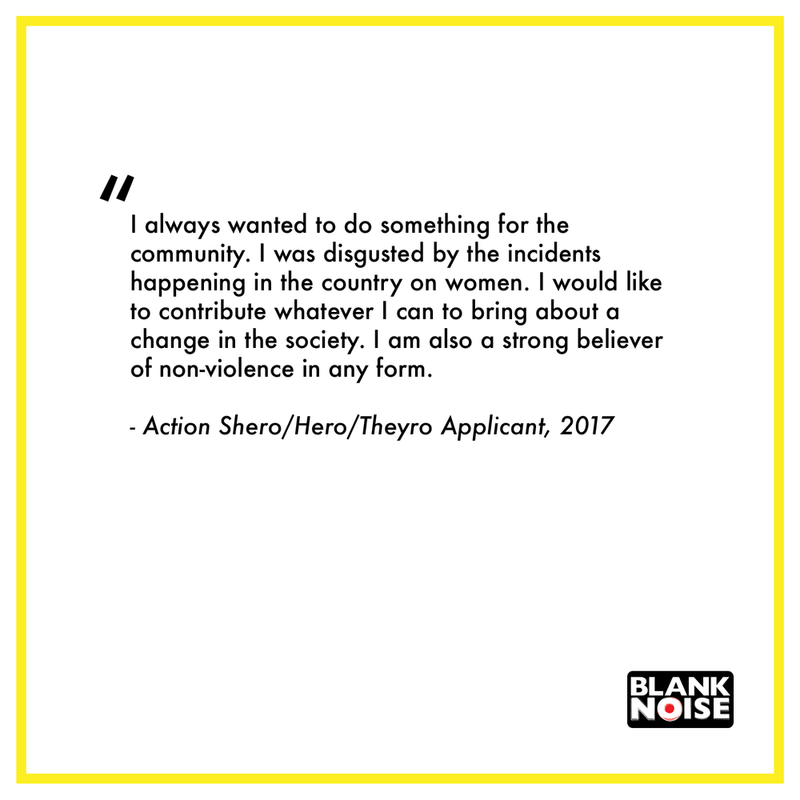 Action Sheroes/ Theyroes/ Heroes have volunteered with Blank Noise from different locations across the world and India. Above is a world map of Action Heroes up till March 2018. Before you sign up, know more about the process and what it means to be an Action Shero, Theyro or Hero.